The school system during athletic events and school zone traffic control. 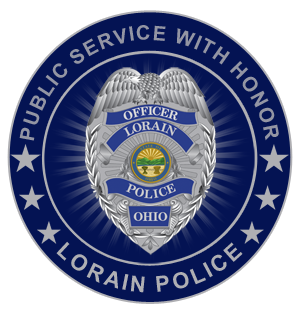 The Lorain Police Department is accepting applications for the position of Auxiliary Officers. Individuals are encouraged to apply who have a desire to assist the Police Department and have an interest in police work. Auxiliary officers must volunteer a minimum of 144 hours per year. They may be called out at a moment’s notice, however, they respond based upon their availability. In 2002 the Auxiliary Police volunteered approximately 18,000 hours in support of the Lorain Police Department. At least 18 years of age with a high school diploma or with special permission of the Safety/Service Director a G.E.D. Interested individuals should contact Auxiliary Chief Malick at (440) 203-2590. Additionally, please download and complete the following LORAIN POLICE AUXILIARY APPLICATION.